When inspecting identity cards (ID cards) and passports more closely, both documents show different holograms depending on the angle of view. The passport photo, too will change colour. Experts use these security features to determine whether an ID card is genuine or forged. 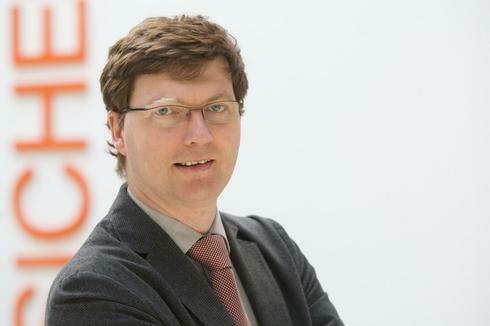 In a project commissioned by the Federal Office for Information Security (BSI), professors Rainer Herpers and André Hinkenjann together with two of IVC’s research associates examined the forgery protection of the ID card. The team seemingly effortlessly managed to legitimise itself as Elvis Presley in a video chat and transformed a recently visiting WDR reporter into Udo Lindenberg by forged identity card (see video). The trick: A self-created ID card is held in front of the camera. Holograms and security features are superimposed on the camera image in a post-processing operation. This must be done very quickly so that the chat partner does not notice anything. In response to the research results, security precautions for video identification have already been tightened. Meanwhile, the team of the Institute of Visual Computing is working on further loopholes. This is a translation of an article originally posted by Bonn-Rhein-Sieg University of Applied Sciences (H-BRS). The original article can be found here (in German). WDR’s (German) video footage can be found here (or by clicking on the image below). Professor Rainer Herpers and Dr Nils-Alexander Bury dive for science: Herpers supported the scientist from York University in Canada in carrying out tests for his underwater study. The tests are in conjunction with the ISS Vection study by Prof. Laurence Harris and Prof. Michael Jenkin (York University) and relate to the perception of the body’s own movements. The aim of the study is to recognise the weaknesses of human perception in an atypical environment and transfer these findings to weightlessness. Astronauts at the International Space Station (ISS) will also benefit from the results of the study in the swimming centre at the German University in Cologne for the Canadian Space Agency in the medium term. In short, the scientific findings will help them estimate the weaknesses in human perception and orientation better. WDR’s (German) article and video footage on the underwater project can be found here (or by clicking on the image below). He is back! Prof. Rainer Herpers, who studied and taught with some interruptions from August 2017 to the beginning of January 2018 at our long-time partner university University of New Brunswick (UNB), Canada, is back at the H-BRS. “It’s gray and rainy here!”, was his first comment on the weather. No wonder, because in recent weeks he experienced temperatures of up to minus 20 degrees Celsius in combination with a bright blue sky and lots of snow. The focus of his research semester was on “cognitive agents in virtual reality and gaming environments” with a corresponding Directed-Reading course that enriched the UNB-curriculum. Prof. Herpers also offered a course on “Computer Vision and Visual Perception” at the UNB for graduate students, which was transmitted via video conference at the H-BRS and the Ryerson University in Toronto during the winter semester. In this way he stayed in constant dtouchistance with the students at H-BRS, even at a distance. His stay abroad was financially supported by a Harrison McCain Foundation Visiting Professorship Award 2017 given by the UNB, by a DAAD short-term readership and by the Center for Advanced Studies-Atlantic. The German Academic Exchange Service and the Centre for Advanced Studies of the University of New Brunswick financially support a short-term professorship in computer science for Professor Dr. Rainer Herpers at H-BRS’ Canadian partner university. Prof. Dr. Herpers has been at the University of New Brunswick (UNB) since 23 August 2017 and will stay until 7 January 2018. In his collaboration with Scott Bateman, he brings in his expertise in the fields of gaming technology, modelling and human interaction. In order to support such cooperations, the UNB has launched the “Harrison McCain Foundation Visiting Professorships” programme. This year, a total of four professors from different disciplines will benefit from this programme. The original article has been posted in German by H-BRS News and H-BRS Department of Computer Science News. You can find a full article here. The department of computer science is glad to welcome another RISE intern from our Canadian partner university in New Brunswick. Suzannah Smith is a third year bachelor student of computer science. She has chosen the coop programme of her course which takes a year longer than the usual bachelor and includes four stages at various companies. At Hochschule Bonn-Rhein-Sieg Suzannah is working on a research project in the field of virtual reality: A virtual apartment is created which participants enter via a pair of VR glasses (Oculus Rift). Suzannah explores agent perception – she uses eye tracking to determine people’s focus and evaluates what participants look at and for how long. Before joining us the young canadian took a two-week German course in Berlin and visited some European metropolises such as Zürich, Wien, Amsterdam and Paris. She will be working at H-BRS until August 18th. Her supervisors are Katharina Stollenwerk and Christoph Pomrehn as well as alumnus Sven Seele. This article has originally been posted in the H-BRS Department of Computer Science News. Text and image were created by Miriam Lüdtke-Handjery of H-BRS’s Department of Computer Science Marketing and Public Relations. The original article is also available in German. On Thursday evening, 02 June 2016 Web de Cologne e.V. rallied decision-makers of the digital economy to a future-oriented topic in the digital world. Professor Hinkenjann was invited to give a talk on Virtual Reality and share his expertise in the field. Profiled initiators discussed the relevance of virtual and augmented reality and innovative approaches for business and various industries as well as their importance for the digital economy. Molecular Modelling is a modern tool that generates useful knowledge for materials or drug development by understanding the underlying microscopic mechanisms. Prof. Robert J. Woods, visiting from the University of Georgia (USA), gave a research talk on one specific example for this on Friday, 22 April 2016. The topic of his talk was a computational chemistry perspective for “Understanding Flu Binding to Human Tissue”. In the future his ideas might lead to the creation of an anti-infective for flu prophylaxis. The talk was hosted by Prof. Dirk Reith and Dr Karl Kirschner. During his visit, Prof. Woods also met with several members of the Institute of Visual Computing. This is an excerpt from Reviving a prolific cooperation. On 10 September 2015, the 1st International Conference on Open Source Software Computing (OSSCOM 2015) launched at the German Jordanian University under the auspices of Princess Sumaya bint Hassan. Over 150 participants from twenty countries attended the conference. Prof. Dr.-Ing. Rainer Herpers, co-director of the IVC and member of the BRSU OSSCOM Team, co-chaired the conference. In her speech, Princess Sumaya emphasized the importance of the EU-supported open software project, referring to its role in the education sector with regard to linking local and regional labor markets. Jordan Royal News covered the Conference in a short report titled “Software Technology Conference discusses promoting the use of open source software”.